Many things are not apparent in an interview or resumé— inhibitions about cold calling, reluctance to ask for a sale, or poor motivation to follow through once on the job. The SalesAP will measure these traits. 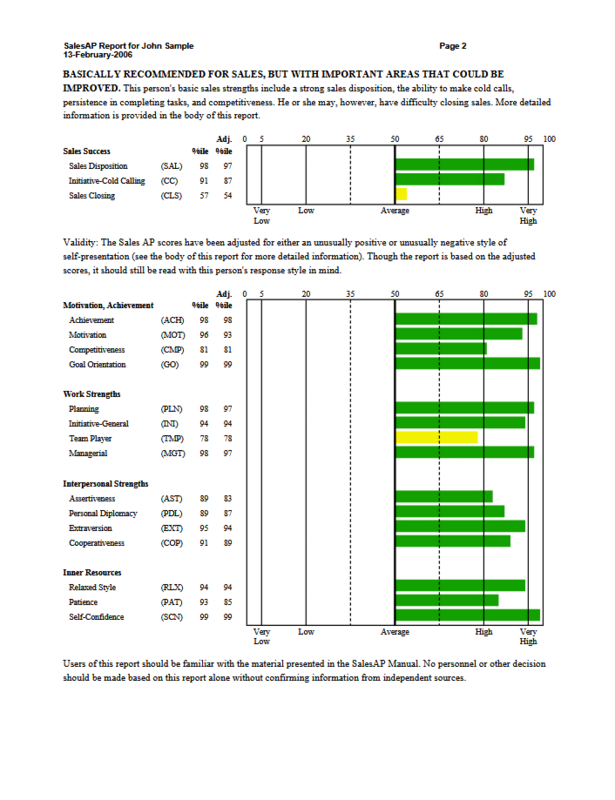 Validated against actual sales performance this assessment will help you find the right person for the job. The SalesAP is an objective measure of characteristics that are critical for success in sales. The test has separate measures for overall sales disposition, cold calling, and sales closing, in addition to many characteristics related to sales potential and performance such as assertiveness, personal diplomacy, and patience. 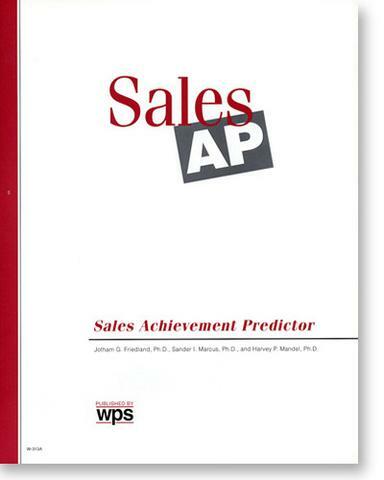 The SalesAP Report details characteristics that are critical for success in sales. The report has separate sections for overall sales disposition, cold calling, and sales closing, in addition to many characteristics related to sales potential and performance such as assertiveness, personal diplomacy, and patience.